SustainableWork: Madison, WI ranked one of the top 20 American cities by Bloomberg. Madison, WI ranked one of the top 20 American cities by Bloomberg. 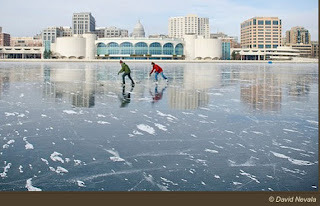 Accolades for Madison, Wisconsin roll in regularly. These awards are well deserved. Madison is a great place to live and work. I raised my family here and started successful businesses here. Madison was just named one of the 20 best cities in the United States by Bloomberg. Many thanks to my friend Jennifer Alexander for the Bloomberg news link. Thanks also to Jennifer for many years of success as leader of the Madison Chamber of Commerce and our regional economic development organization, Thrive. If you needs help connecting to this great city let me know. Photo copyright David Nevala and Bloomberg. Thanks.